One way of building links to your blog is by reaching out to other bloggers who write about the same topics and requesting them to link to you. Joining a blog community is a good start to your blogger outreach program. If you join a blogging community, you will find that users just like you have created communities for people with common interests. There are blog communities for just about any subject, and if you find that there isn’t a community for the subject, you can create one. 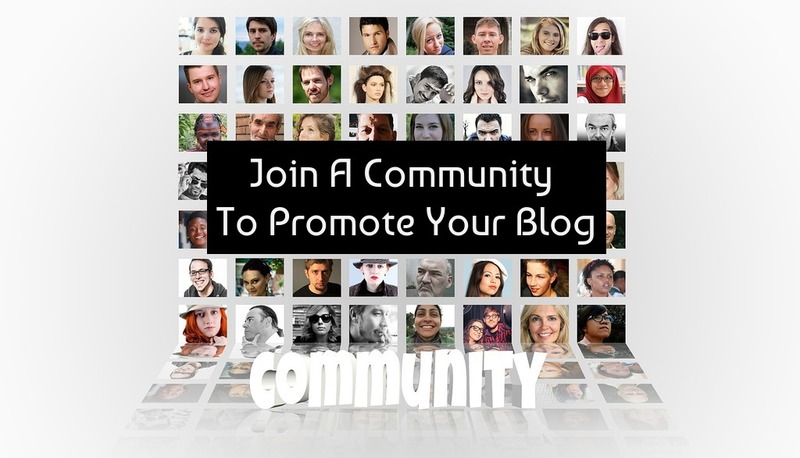 These communities are an ideal place to promote your blog. The nice thing about blog communities is that there isn’t any limit as to how many you can join. For example, say you love blogging about books, horseback riding, and skiing in Tahoe. All you have to do is look for the communities that have those interests and join them. Here are a number of blog communities you can join. As long as you post something related to the topic to the chosen community, people will see you and perhaps they will check out your personal blog. Something to remember is that you don’t want to write a post that is just one sentence long in order to get people to go to your blog. They will want to know that what you write is interesting and is something worth reading. If you’re promoting a blog that is hosted on your own domain, put a teaser of at least a paragraph long with a link back to your original post. Joining communities can be a great way to advertise your blog and drive traffic to it. If you are referring to something that you posted about on your blog, you can use a link back to your entry in your post. As for posting comments on someone else’s blog, you don’t want people to think that you joined a community simply to get traffic to your blog. Otherwise, people won’t visit your blog and you may get banned from the community for being a spammer. The best way to get people to love your blog is to give some love first. Read their blog, post comments with useful feedback and they are more likely to reciprocate. I hope you enjoyed these blog marketing tips. If you liked it, do click below to share it on Twitter. I’d add that apart from blogging communities, there are dozens of brand-blogger connection platforms. These are platforms to which you can link your blog, and they serve basically as search engines for blogs – brands (or just other readers) that are interested in a type of blog conduct research on these platforms, and can find you there. We at Boost the News often look at them to find interesting bloggers, so you can be sure that it helps your blog’s visibility. Wow, that’s a great tip, Daniel. This is all news to me. Thanks for sharing.